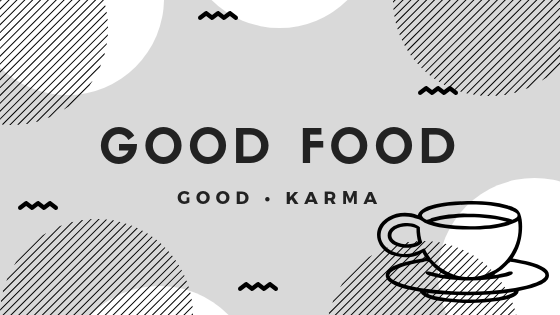 Charisma Workshop | Good Food, Good Karma. I discovered Charisma Workshop through the EatClub app. EatClub has introduced us to some of our new favourite restaurants, at up to 50 % off! Highly recommend downloading it and seeing what is around you. Charisma Workshop is a cafe, hidden down an alleyway which is currently surrounded by construction. It is a bit dark, but there are definately some treasures to be found there! Their staff are friendly, and so passionate about what they do – they make beautiful cakes, pastries and gourmet chocolates. Plus they have a menu filled with brunch and lunch dishes with creative twists. Their hot chocolates are made with couveture chocolate and are creamy, smooth, rich and delicious. They also have a great selection of teas and lattes which I’m definately heading back to try. I was craving a creamy porridge, and so I ordered their Cinamon Oat Porridge with red wine poached pear, seasonal fruit, Japanese black sugar syrup and citrus crumble. It was a generous serving. I loved the red wine pear – it was not too sweet, filled with flavour and helped to balance out the sweetness from the rest of the dish. The crumble added a delicious crunch. The syrup was so cool – such a trendy flavour in bubble tea at the moment, you see people lining up to try it, but it was very sweet. I think it would have been even better had the actual porridge been a bit less sweet to help the flavour of the syrup stand out a bit more. Really loved this dish though, and as you can see, the presentation was on point. My wife ordered the Thai style tempura fish and chips. Clearly we have very different tastebuds. I’m more of a sweet-tooth! I did steal quite a few of her chips though, they were crispy and fabulous. Her comments on this dish were that it was a massive serving, the fish was crispy but did not taste freshly battered, as it had definitely been frozen. I tried it and really liked the turmeric spice they used in the batter. These are some of the gorgeous handmade cakes on offer – they seriously look amazing. I will have to head back to try some – I was way too full at the time! Plus the handmade gourmet chocolates – we tried the yuzu buckwheat and the ruby caramel. We enjoyed them both, especially the ruby caramel. The yuzu was yummy, but could have used a bit more yuzu!